Estate Planning: The Third Step The third step of estate planning, explained. 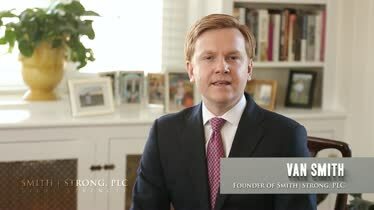 Estate Planning and Lawsuit Protection Attorney Van Smith discusses how his firm is uniquely suited to help your family protect against future lawsuits. Call 804.325.1245 (Richmond). 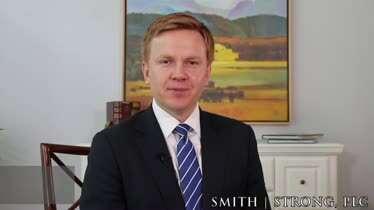 Two Phases of Estate Planning Attorney Van Smith discusses the two main phases of estate planning. Call Smith Strong at 804.325.1245 (Richmond) or 757.941.4298 (Williamsburg). 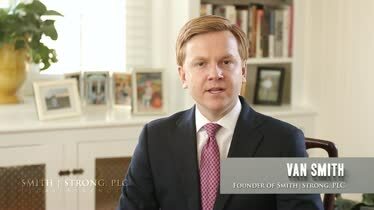 Elder Law Solutions Attorney Van Smith introduces some of the elder law solutions used by his firm to help aging individuals pay for retirement and nursing home care. 804.325.1245. 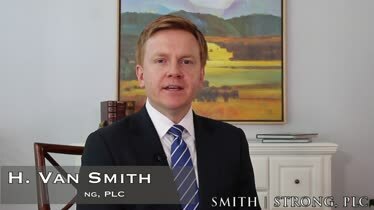 Financial Solutions to Elder Care Attorney Van Smith describes the ways in which Smith Strong can preserve a family's assets, even while paying for the costly care of an elderly member. Will-based estate planning at Smith Strong, PLC is our basic option. For many young families and individuals ensuring a will, guardianship for children, power of attorney, and advance medical directive is in place provides peace of mind and a rulebook to follow, for your care and the management of your finances and family. Without this basic estate plan established, your family will face multiple court hearings, costs and delays associated with guardianship and conservatorship proceedings. And then this default plan, is not nearly as good as the plan you would have written for yourself. In essence without your rulebook put in place your appointed-by-the-court agents have all the power, with no instructions from you. This leads to stress, conflict and problems for family members left behind. At times these no-planning, court-appointed arrangements then lead to fiduciary litigation over mismanagement. Protect your loved ones from these outcomes with a will-based estate plan. Attend our educational seminar, held each month. Attendance qualifies you for a free meeting to design your plan with an attorney at our firm. Don’t delay, call us at 804.325.1245 or 757.941.4298 to schedule your first meeting or attend our estate planning seminar today. While you may not feel rich most days with your total assets of $350,000 to $850,000 (or more), trust us, to your family—they are counting on you to help them build real multi-generational wealth. The average 40-something walking into the mall at Short Pump in Richmond only has $45,000 saved for retirement. Baby boomers—you just may be the last generation of Americans to adequately save for retirement. For the sake of your children and grandchildren—we must make a commitment to prepare an estate plan that will ensure the nest egg you spent a lifetime building outlives you. Not just so you can live comfortably, though this remains important to ensure with estate planning as well, but to pass on your life savings in a way that will build a lasting legacy of prosperity and security for your grandchildren and adult children. You get one shot to get this right, allow our boutique firm to personally serve your family with integrity. You sacrificed much for your family over the years, often, even time with them, to ensure they had enough. That mindset continues with good estate planning. Let’s honor that lifetime commitment to those you care about with establishing a solid, right the first time trust-based plan. And for those with parents about to enter nursing home and assisted living communities—before you sign that nursing home application—you must attend our seminar to ensure you and your family don’t go broke. We’re excited to see the light bulb go off at our seminars when they realize they didn’t just protect their children with the right plan, but ensured their own parent had the right plan in place before entering a nursing home and spent their inheritance down to the last dollar, too. Trust-based planning allows us to protect your assets and retirement from obscene medical costs, continual assisted living or nursing home fees, and in-home care. Don’t delay, call us at 804.325.1245 or 757.941.4298 to schedule your first meeting or attend our estate-planning seminar today. Did you realize a will-based estate plan still means your family must go through probate with fees ranging from $2500 to 5000 on average—per person? Trust-based estate plans allow couples to avoid probate—thus saving thousands in fees at the death of each spouse. The right plan is far cheaper than no plan at all. Let us show you how—it’s exciting to be part of a family that finally commits to ensuring a legacy of prosperity is put in place for their family’s future generations. Ensure your business’s value is realized through succession planning. What Are the Benefits of Having a Pour-Over Will in Virginia? 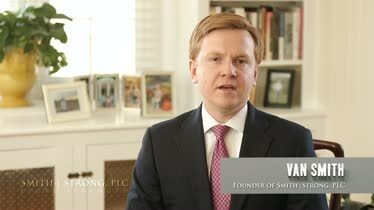 How Might The New Virginia Disclaimer Act Affect You? What are the Trustee’s Responsibilities in Administering an Irrevocable Life Insurance Trust in Virginia?